Who is the Saint for canning and preserving? | ReLocavore: Redefining "local"
Who is the Saint for canning and preserving? I may need some prayers and good thoughts tonight. Who is the patron saint of canning and preserving? Saint Christopher? My first canning load of the season and the very first jar I put into the boiling water blew up in the hot water bath canner. I guess there’s one last jar of spicy rhubarb compote. Darn. Categories: Putting Food By | Tags: ball jar, canning, canning jar, mason jar, rhubarb | Permalink. Oh I am so sorry. 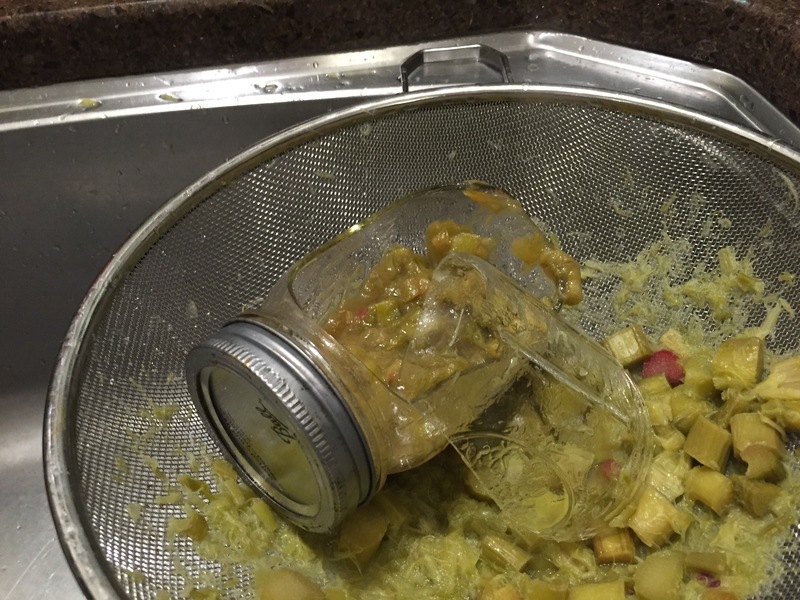 It is disheartening to start canning season off with a busted jar. Lol Loo. I have to say that picture makes rhubarb compote look DISGUSTING. It’s either St Lawrence or St Pasquale. Preference? Or how about St. Martha – Patron Saint of Cooks?